ShowMeCables offers an NMO mobile mount adapter to convert existing connections to N-series. 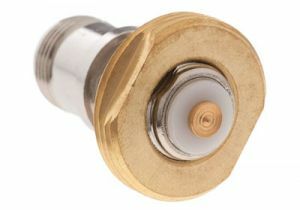 This adapter is nickel-plated and features a brass bulkhead connection for a ⅝” opening. With hundreds on hand, our NMO adapters are ready to ship today. Not sure which coax adapter you need? Call or chat today and we will recommend the right solution for you.